If you heard of Microsoft Imagine Cup you will probably know students use their creativity and innovation to solve the world toughest problems, those real world problems around us. 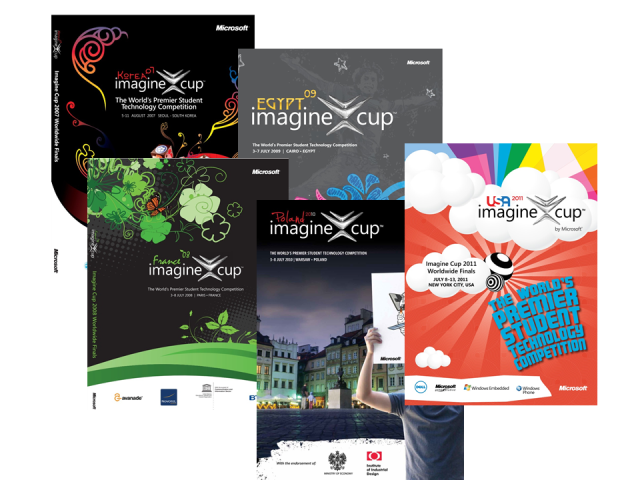 In case if you just get to know about this amazing competition recently and you want to know more about what students are capable to do all this year of Imagine Cup, you can always check out their project through Imagine Cup Yearbook that was printed every year. The Imagine Cup Yearbook is also a good resource for competitor who want to join in next year Imagine Cup 2012 at Australia. Check out what other competitor had done in the past. Bare in mind that not all ideas are unique, but is your job to make your idea better than the others. You can found the Imagine Cup yearbook since year 2007 until year 2011 at the link below.